Do you like an astonishing photo and video editing app thatallows you to make slideshows, videos, and music in unique and unusual styles? Do you like sharing your stories privately? Do you like your pictures and videos to go viral? If your answer is yes, look no further because this article will give you insights about the best alternatives to Flipagram. In the last couple of years, Flipagram has gained popularity due to its ability to enable users to share old and new images, convert them into videos, and add music. One fantastic aspect of the app is that it has perplexing editing features which can help your photos go viral after the world has seen them. But of late, tons of developers have come up with incredibly amazing apps that have better features than Flipagram. Therefore, you don’t have to be bored with Flipagram anymore. Below are 10 Flipagram alternatives worth your try. As the name suggests, InstaShot is an app that works side by side with Instagram. 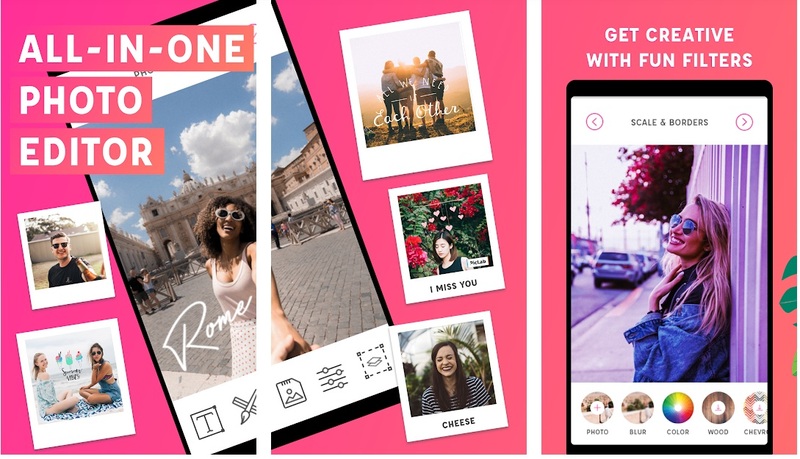 It is a contender in this list as the best alternative to Flipagram because the app allows you to create both music and slideshows, thus allowing you to add content on Instagram quickly. One fantastic aspect of the app is that it enables users to resize images, add text, add more pictures and videos, giving you ease of editing them. Furthermore, you can directly take pictures using the app and post them directly to social platforms. Similarly, you can add photos to music videos or form image slideshows. Gives users the ability to modify content instantly. The excellent video editing app is free and easy to use. Are you photogenic and have a strong liking for videos? Then Instagram should be your go-to app. Instagram makes all your desires come to life; thanks to its fantastic design which has made it be considered one of the applications similar to Flipagram. Instagram gives users the opportunity to share their content with several users that interact within the platform. Moreover, one can share their content on the platform as stories which disappears after 24 hours. Flipagram also has similar feature. Instagram allows users to edit their content by adding filters or contrasts to suit one’s needs, bringing about a great touch in aesthetics. However, the only noticeable con with Instagram is that it limits the use of slideshows and customized music on the videos to be shared on the platform. 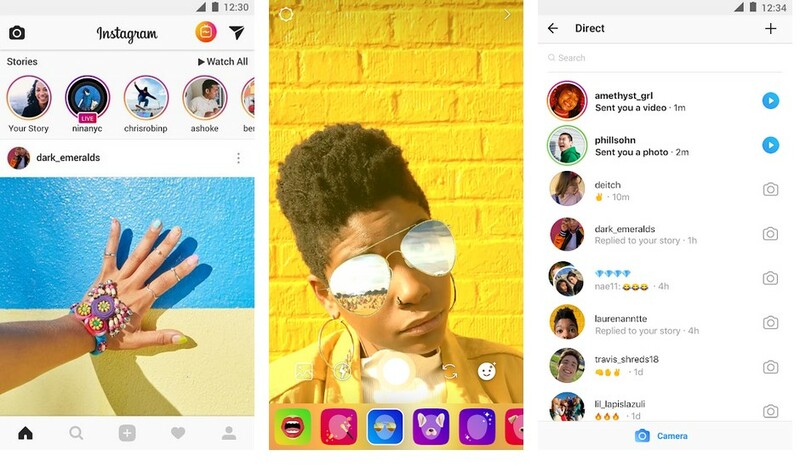 Videos and images can be shared through Instagram stories. You can interact with tons of other users and enhance your social experience. 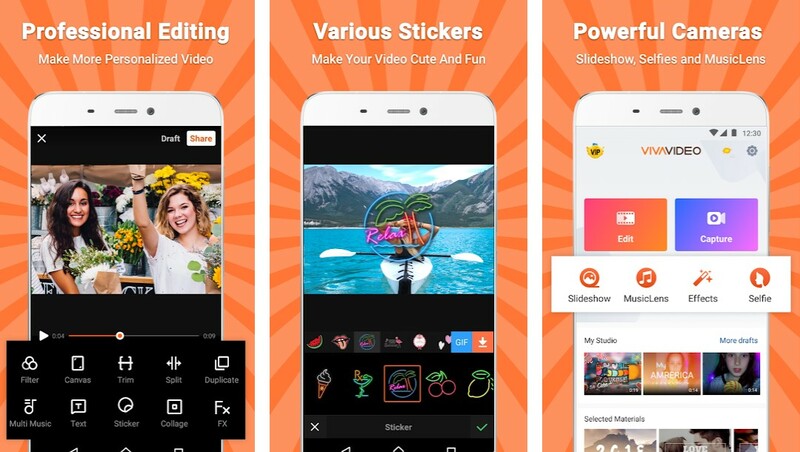 This free video editing app is one of the popular apps in the Google Play Store, thanks to its amazing editing features. The app is a contender in this list as the best Flipagram alternative because it offers a great ground forboth Android and iPhone users to create videos with a story one can share with other people. It also allows users to edit video on camera and make the recording of videos, which is a fantastic experience for users of this application. The app has different features which can enable you to produce a great touch of art on the videos, thus making this app your excellent choice in video editing and sharing. However, VivaVideo is not entirely professional in the delivery of its function. Altogether, the app has amazing tools that enables you to give a sleek touch to the videos and to make youexperience fun while editing videos. The app has a great selection of editing tools. Has lenses that can capture multiple characters. 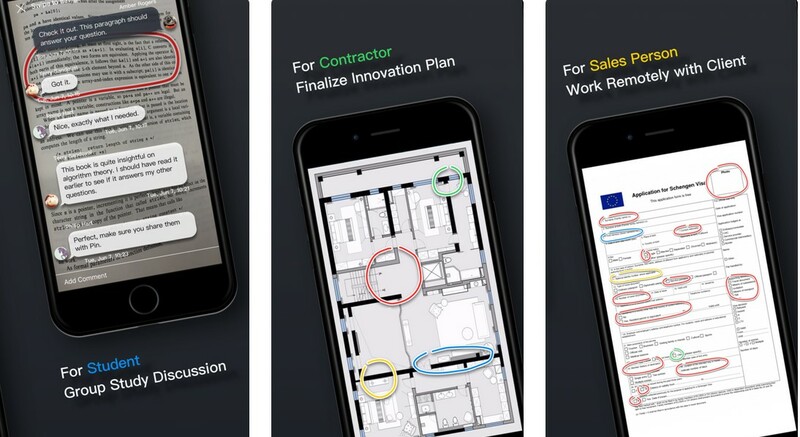 The app has built-in features that allow users to load clips, edit and trim them as needed, before moving to the next segment. Snapchat is an application we can’t forgo mentioning in this list as one of the best Flipagram alternatives. 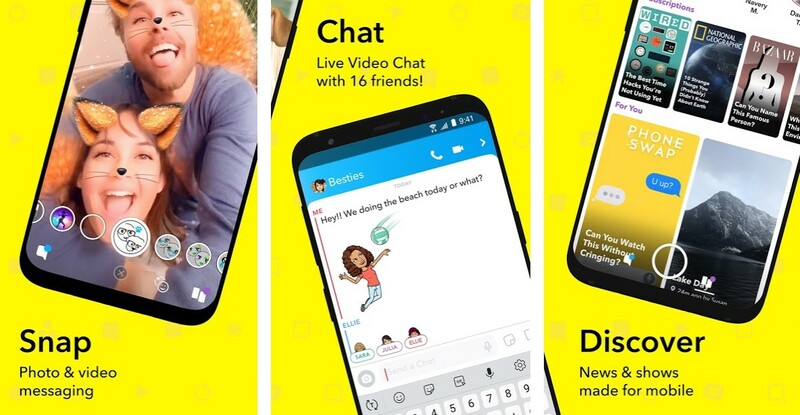 It is one of the most popular social apps, widely recognized by individuals who enjoy interactive social media chats through video and photo sharing. Snapchat has a fantastic touch with a majority of features providing you with an intriguing social experience in sharing of stories and videos on the platform. The content you share on the platform expires after 24 hours, giving room for uploading new content. Additionally, Snapchat satisfies your music needs by providing users the option to add their favorite music in a video background. Face lenses allow users to have photos with cartoon ears, nose, or lips on their faces. It has a chat option which allows users to connect with friends instantly. Apart from the photo and video editing functions, Snapchat offers games, news, and entertainment. This brilliant app is a contender in this list due to its simple design that minimizes hitches while editing video.VideoFX Live is an amazing video creation tool that allows users to make original movies on their Android device and share on social media. What’s notable is VideoFX Live that makes it a contender in this list is the numerous video special effects, which allows users to record both video and audio. 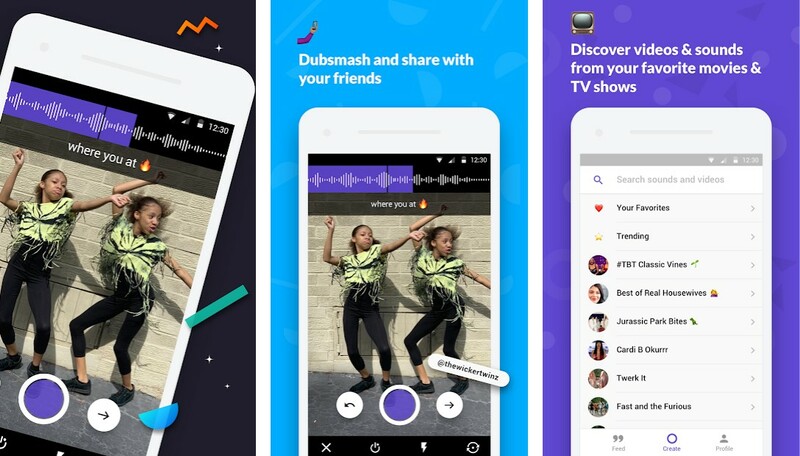 VideoFX Live is most popular with the teens because it allows them to save their VideoFX Live creations to their gallery and upload to Facebook or YouTube, or send via email.While interacting with this app, the experience may be lively due to the videos one creates. That makes one have an excellent vine experience with the right touch of effects which make a significant impact on the videos.With absolutely no need for setup, you can be able to record, pause or stop a recording, which is more convenient for users. With these provisions the entire process of editing and cutting scenes is unnecessary, making VideoFX Live one of the best Flipagram alternatives. Allows video sharing through email. Easy and more convenient to record videos. Even though Dubsmash is not as popular as its peers in this list, it is one of the best Flipagram alternatives. Developers created the app with the need to deliver an outstandinguser when it comes to watching and sharing your favorite videos or memes. The app enables users tocreate videos referred to as Dubs and incorporate music in the background. You can dance, make faces, run and make every action awesome; all thanks to this app. With the app, you shouldn’t be worried about interacting with the people on your contact list. Dubsmash enables you to interact with other users by using their phone numbers or their usernames. The app allows users to upload their audio. Users can also add color filters and text animation to their recordings. Gives users the ability to save their clips to their devices. Picflow is one of the best apps like flipagram without watermark. 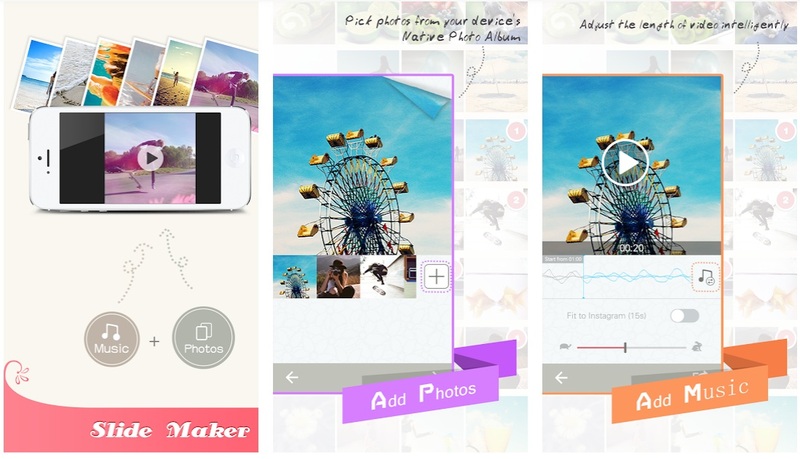 It enables users to create short videos by combining music and photos.This application is a contender in this list as a Flipagram alternative because it allows users to add up to 100 photos free. Once downloaded, you do not have to be worried about a watermark since the app comes without a watermark unlike most of the editing apps.Picflow allows you to edit photos using a wide selection of filters, thus making you meet your desired quality. This app allows users to add up to 100 photos from the album. One can preview the photos before sharing on Instagram, Facebook, and YouTube. On Google Play Store, PicLab boasts of over 50 million downloads, a factor that has made it one of the best Flipagram alternatives. 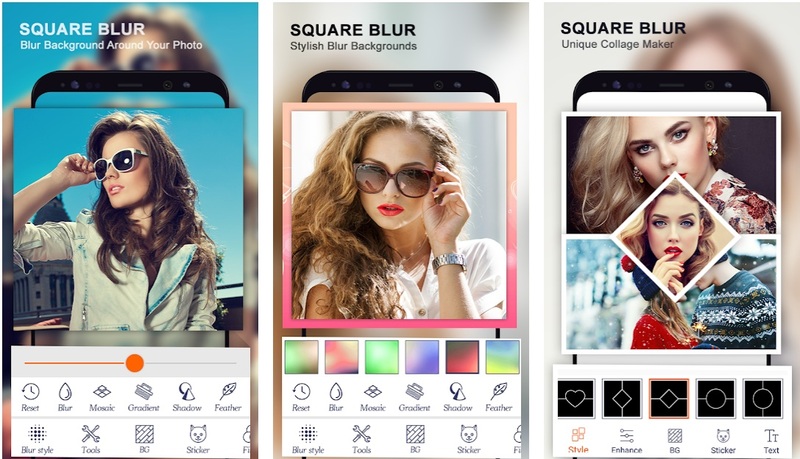 With PicLab, you can never go wrong in editing pics; the app gives you a high finish of your art.PicLab has a wide range of features, starting with the fonts and the ability to choose the background themes. Moreover, one can choose stickers which are available in an extensive collection, giving you endless fun as you share your pictures.The app also offers users great photo effect, a great balance of texture options, a variety of patterns and borders to pick from, beautiful artwork options, a light FX and one of the freshest selection of shapes that keeps on being updated. Professional grade photo effects and filters. Has patterns and borders that users can apply to produce a great touch on the content created. PicLab pays attention to the small details on decorative finishes including the shapes and borders. Square Instapic is one great application similar to Flipagram. The easy-to-use has gained a positive reputation from tons of users who use it in editing photos as well as the creation of photo collage. With Square Instapic, the quality of the pictures created is quite high with a provision of frames. Square Instapic has amazing background options that enable you to add some good taste to your creations. Moreover, Square Instapic has the text and sticker functions that enable users to add typed text, and customized stickers to the content created making it even more appealing and convenient. Has an extensive collection of exciting tools to edit your photos. Fixes the brightness, adjusts the contrast and saturation. One can use the app to apply a blur on the image and crop the edges of the photo. Even though Flickr is the least popular in this list, it is quite an excellent Flipagram alternative. Flickr is a photo-sharing app site that gives a more personal touch to your pictures. Flickr has a simple but powerful interface which gives much focus on photo sharing.Since Flickr is a premium photo-sharing app, users have to create a free account. They will then be required to upload their photos or videos to share with followers who are online. One fantastic aspect of Flickr that sets it apart from its peers is that it allows users to share their creation while at the same time enjoy the creations of others who are online. 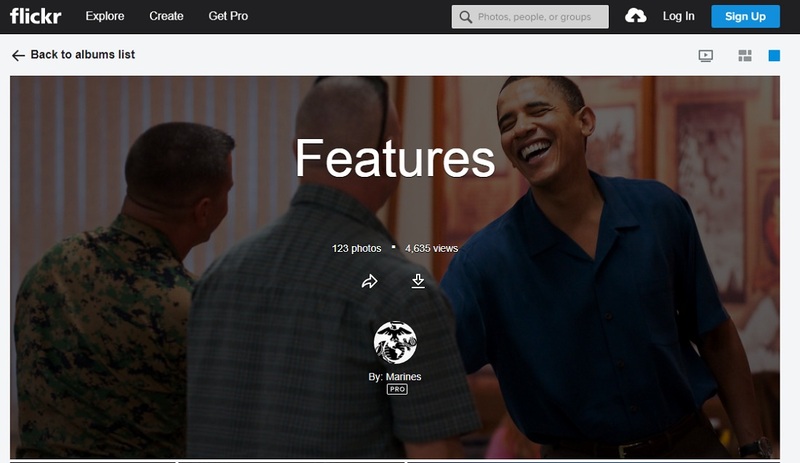 Flickr also enables users to edit their photos in addition to sharing. Gives users the ability to share their entire albums with friends. Allows users to get a glimpse of the recent activity of their photos such as comments received. One can bookmark a photo as a favorite and come to access it later. You don’t have to be bored with Flipagram because there is an ever-growing collection of apps or sites that perfectly substitutes Flipagram. The good things with these sites are that they have amazing features which surpass those of Flipagram. For instance, these sites allow you to share your stories privately, or with the community. As a result, your photo can go viral within a short time and get inspiring comments from around the world.